Robert Leat Fitness, Personal Training in Bristol. Are you a busy working professional struggling to lose weight? Is your weight making you lose confidence? Office wear no longer fit or starting to get tight? Does this sound like you? If you just answered yes to any of these questions, then I am the person to help you! My name is Robert Leat and I am a personal trainer located at PureGym Bristol Barrow Road. I also conduct sessions for people in the Bristol area in their homes, offices and local parks. Lose fat, drop clothes sizes or fit into your current clothes better. Train with a friend or relative to compete with & split the cost! enables you to get expert, personalised guidance for your health and fitness goals. Enter your email below to get to get 5 simple steps to help you kick start your fat loss journey. Subscribe for FREE and receive the same health and fitness tips and tricks I use with my clients to get fast and long lasting results! 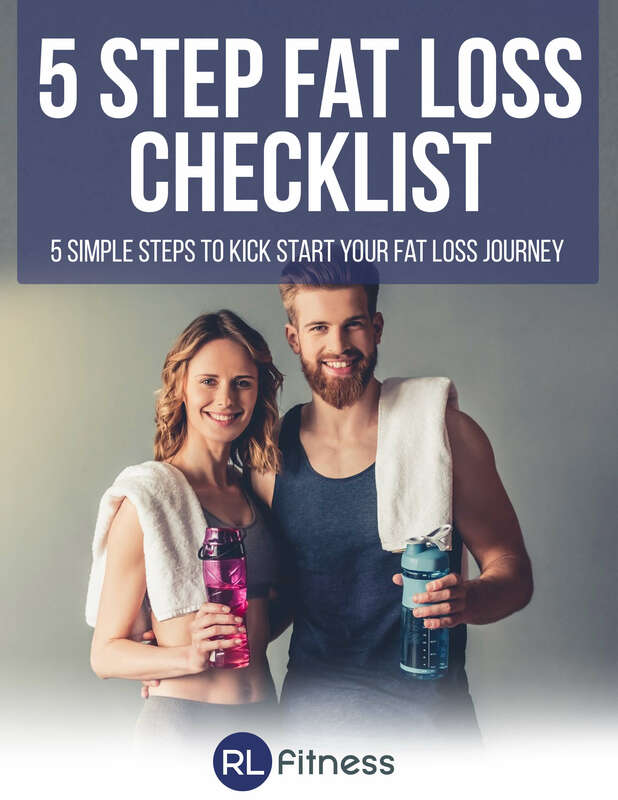 Get your free 5 step fat loss check list below. Through making simple changes to your diet and by prescribing a personalised exercise program, I can help you to lose weight, significantly improve your confidence, lose inches across your body and so that your clothes fit better, and gain muscle. Online training plans also available. I love health and fitness. My own personal journey to wellbeing and self-confidence could not have happened without it! I also love to help people who have suffered from the same feeling of low self-esteem and low energy I did. I want to help you to change your life for the better by making simple changes to your lifestyle, such as improving your diet and changing the way you train and your day to day routine. What are you waiting for? Book your free consultation today and find out how I can help you to achieve the results you have always wanted! As far as Personal Trainers go Rob is the best you could ask for. He got me working hard, he helped me change my approach to the whole gym world and even how I eat. He always offered valuable advice, he showed an enormous amount of patience and let me be myself. Regardless of people’s needs and backgrounds, Rob has shown that he is understanding and adaptable. If you want to tone and build muscle, lose weight and get fit then look no further!